We’re thrilled to announce our return to the David Lam Park stage for the 2014 incarnation of the Vancouver Jazz Festival. It’s been a couple years since we last played this amazing event and we’re extremely excited to be a part of it once again. We’ll be hitting the stage at 7pm on Sunday June 29th. The event is free! So come on down and enjoy a great day in the park. Visit http://www.coastaljazz.ca for more details. 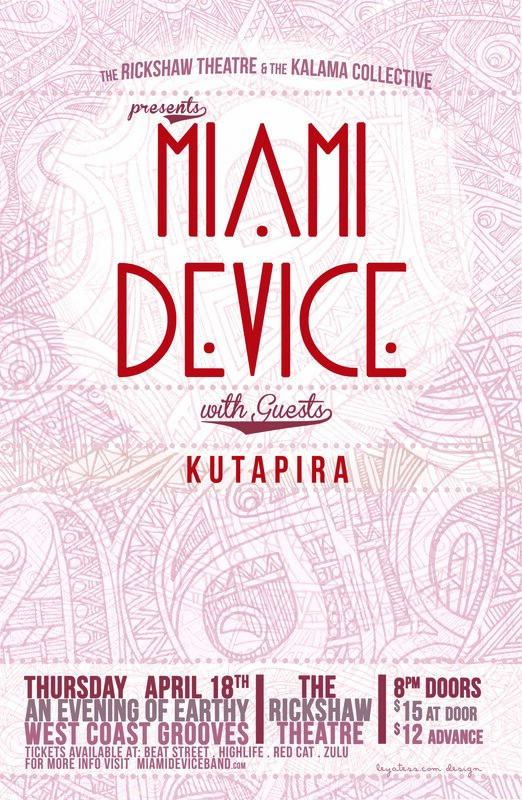 Miami Device @ The Rickshaw!! September 21st/2013! Vancouver’s own 11-piece afrobeat machine. With heavy driven horns atop syncopated guitars and layered percussion they produce a dance inducing, highly energetic live show. 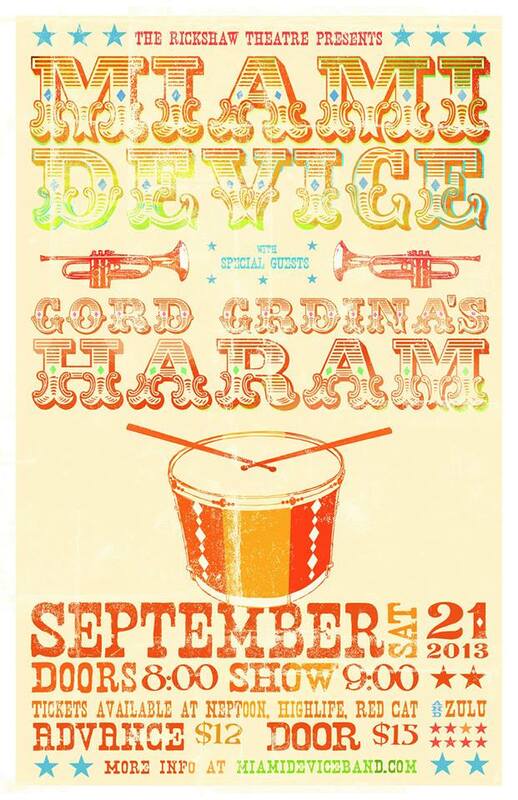 This is Device’s first show back in Vancouver since touring BC’s summer festival circuit. An ensemble formed in 2008 by Goron Grdina, blending indie rock and jazz with Egyptian pop and Iraqi folk music elements. Keep your ticket stubs for the door prize! !